I have been watching Oprah Primetime on the Hallmark Channel for two days now. Last Tuesday’s episode they featured people saved from their own heroes. A daughter saved her mother from a bear attack inside their house. Her mother attained many cuts and even tore her left ear. She saved her mother by attracting the bear with a frozen meat in her hand. She manipulated the bear to follow her to the kitchen then attended to her mother. Another story is about a mother who shielded her two boys from a rushing tornado leaving her paralyzed waist down. Her house was totally destroyed while her two boys just acquired little scratches. 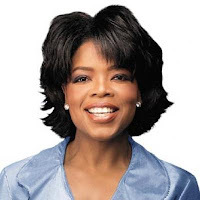 A mother hero as Oprah exclaimed it. Last night’s episode was about the secrets kept by people. A wife has been struggling of bulimia for 11 years. She eats like a pig then vomits three times a day using her toothbrush. She hides her vomit in a plastic bag in her closet. Her husband and her family made the intervention to treat her. Another guest suffered from obsessive-compulsive disorder. A mother of two that doesn’t want any physical contact from anyone even her family without washing their hands or taking a bath. Her disorder started after giving birth to his son and when they transferred to a new house. Her family felt dirty, unwanted and unworthy. According to her an aunt of hers has the same disorder. Anyway, here are some of her rules in the house: 1) Frequent hand washing and bath; 2) No one is allowed to touch her especially when she just had a bath; 3) No one will touch her things and her side of the bed; 4) and many others. she's the one i idolize.